Based on the classic book by E. B. 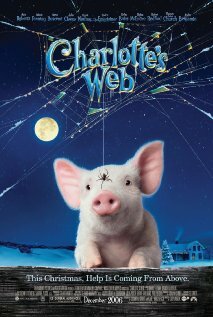 White, Charlotte’s Web is all about love and loyalty. Fern, Wilbur the Pig, and Charlotte the Spider prove you can find friendship just about anywhere, as long as you look hard enough. It goes to show that with a little thought and planning, spending time with your family can always be fun and full of memories. 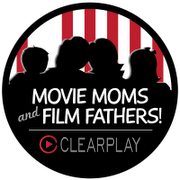 Clearplay makes it easy with more Family Movie Night Activities. *Wilbur loves to play in the mud. You probably won’t want to splash around in it yourself, but you could always serve up some Mud Pudding (chocolate pudding with crushed up Oreos). *Templeton loves the County Fair because of all the delicious food that is available. 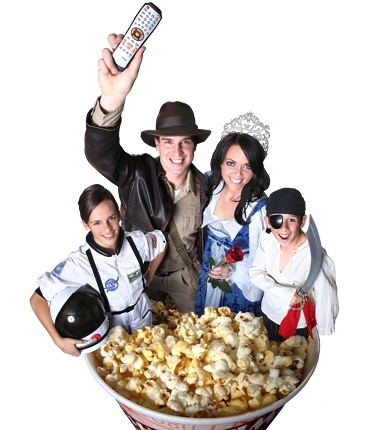 From Cotton Candy to Popcorn, pick some of your favorite Fair food for a treat during movie night. *When Charlotte tells Wilbur “salutations” it means they’re friends. Take a moment to write, call, or text a couple of your family friends and tell them “salutations” and let them know how much they mean to you. *Fern likes to spend time in the barn drawing pictures of Wilbur and the other animals. Each of you can draw a picture of your favorite animal in the barn or even create a sketch of one of your own pets. *When Wilbur wins special honors at the County Fair, stop the show and award each person in your family with a medal. Let them know how special you think they each are. *Charlotte spells out words in her web to show how great Wilbur really is. You could make your own Web Words and spell out special messages about each of your family members. Dip string in glue and while it’s still wet, criss-cross the string and create a web on wax paper. Choose another color and spell out the perfect word to describe yourself or someone else. Let the string dry through the rest of the movie (and probably overnight). Once it’s dry, hang it in your window or on your door to let people know that you’re terrific too! *If you liked the movie, try reading “Charlotte’s Web” together as a family. The award-winning book will be easy to find at bookstores, online, or at your local library.